DA leader Mmusi Maimane is expected to meet Public Protector Busisiwe Mkhwebane on Tuesday for an update into his request for an investigation into the controversy over Bosasa money paid towards President Cyril Ramaphosa's ANC election campaign via his son's business. The leader of the opposition party said on Saturday it had been five months since Ramaphosa allegedly misled Parliament about the "conflict of interest between him, his son, Andile Ramaphosa, and Bosasa". "I will therefore be meeting with the Public Protector, Advocate Busisiwe Mkhwebane, on Tuesday 9 April 2019, seeking an update on my complaint over the president’s misleading of Parliament regarding his and his son’s relationship with Bosasa, and the clear conflict of interest that exists between the Ramaphosa family and Bosasa," Maimane stated. Mkhwebane's spokesperson confirmed the meeting. "The Public Protector will meet with Mr Maimane," said Oupa Segalwe. Maimane said he had also put in a written request to the Zondo Commission into state capture for the president to be subpoenaed to appear before the commission over this matter. He believes Ramaphosa "needs to account to the commission and the nation". He also wants to see the president's declaration of personal interests, a request the Presidency has already dubbed "electioneering". "There remains a circle of secrecy between the Ramaphosas, ANC and Bosasa. It is crucial this secrecy is broken and South Africa is told the full truth about this corruption scandal involving the president," said Maimane. In February Ramaphosa said he did not deliberately mislead Parliament regarding a R500 000 Bosasa contribution to his 2017 ANC presidential campaign via his son's business. Bosasa provided services to the Department of Correctional Services, but its former COO Angelo Agrizzi has alleged at the commission that many of these contracts were allegedly oiled with private kickbacks to some government and ANC officials or their families and associates. The company has rebranded to African Global Operations. In March News24 reported that Andile Ramaphosa admitted accepting consultancy work worth R2m from Bosasa, in a decision he "sincerely regrets". 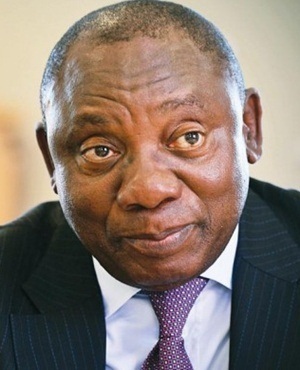 "It is clear now with the benefit of hindsight that our due diligence was insufficient in retrospect of my father's role going into the Presidency," Ramaphosa Jr told News24 in response to questions.